The exceptionally passionate, involved, helpful, and considerate crew of Albany area lifters that coached, competed, and assisted in the completion of an exceptional contest. Left to right: Matthew Doheny, Chad Oakland, Sean Culnan, Adam Delany, Evan Mensing, Mark Swatling, Will Mcfee, EC Stumpf. Despite a collection of titles, championships, and accolades, even those who competed were involved with organizing, judging, spotting, loading, and cleaning up to insure that the contest ran well for all involved. In November’s Part One of this article, I noted that I drove one of our teen lifters, Will Martorana, to Latham, N.Y. approximately a three hour journey from Long Island. Will, as do most of our young trainees, understands the philosophy of both lifting and living that is espoused by the group of men and women that are associated with our facility. Just as Kathy insisted upon when we founded Iron Island Gym that became a mecca for powerlifting in the 1990s, things have to be done “correctly.” One can interpret that word however they wish but it was the first thing I thought of when long time, top lifter E.C. 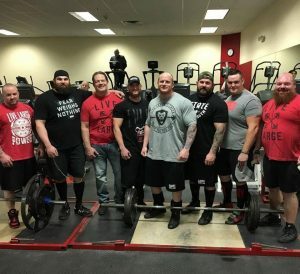 Stumpf asked me, “What do you think about the new generation of lifters? It’s different, isn’t it?” The knee-jerk response is “Yes, it is different, unfortunately” but I never wanted to sink into the morass of curmudgeonly commentary that marked so many of my father’s generation in their later years. As noted in last month’s Part One of A NEW OR AT LEAST ANOTHER GENERATION OF LIFTERS, powerlifters and other athletes are no more than members of athletes are no more than members of and reflections of their generation. The current generation has immersed itself in a value system that is lacking the fundamental and basic principles that have served our society and culture for centuries, at least in the author’s opinion. What were the expected daily courtesies between individuals are long gone. To point out to a younger man or woman that it was, and still is bad manners to refuse to offer a seat on a crowded train to a lady or to hold a door open for a man or woman, is to invite ridicule or incredulity. was supposed to be a deterrent against future misbehavior. As importantly the experience was supposed to humiliate one in the presence of their peer group, another expected deterrent for the perpetrator and to present a reminder to those observing that there were consequences to their actions. Any humiliation or physical pain suffered in school would be doubled, or worse, upon arriving home or once a parent arrived home. The humiliation felt by the entire family caused by the misbehavior of any of its children was considered to be a result of a breach of trust, the unspoken pledge to honor one’s family and to protect it from physical or emotional harm. Bringing public shame upon one’s relatives was an ultimate sign of disrespect for the home. Any thought by most presently under the age of thirty would not include the effect of their behavior on their family members. One’s behavior could in some way “dishonor the family?” One’s behavior is related to anyone, in any way, other than them? We have come full circle and returned to the Culture of Me, the Culture of Being Known, the truest of the “me and me first and last” group-think which of course has scuttled the basic niceties that have been the structure of American behavior dating hundreds of years. One should of course include the very real notion of instant gratification. 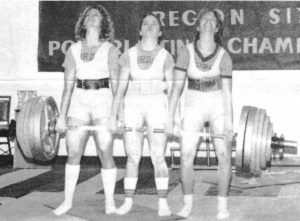 When young women or men would sit with Kathy and me and proclaim, “I want to compete, I want to be a powerlifter,” we would explain that some of the necessary principles included time, patience, and consistency. One could not master technique, become stronger, and learn the subtleties of the sport and how to compete without going through a process of learning and doing. The learning and doing did not occur in months and sometimes, not in years, but rather, it took a number of years. Even twenty years ago at Iron Island, some prospective lifters would begin the conversation with “I want to be a competitive lifter but if I can’t win at least the state championship in two years, I’ll quit.” This attitude of “I want mine and I want it now” was pervasive even then. 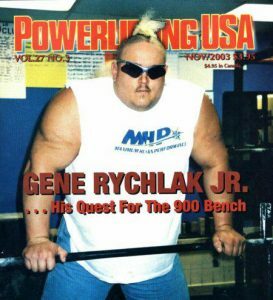 The Latham Contest was directed by Ame and Gene Rychlak and their Revolution Powerlifting Syndicate or RPS and hosted by ABC Sports And Fitness owned and operated by the entire Doheny family. I was never one to think that the sport needed “a lot” of different organizations as it watered down the value of any championship or records. Over time, throughout the 1990s, the officiating became terrible as some organizations literallygave record lifts away in order to attract lifters to their meets. “Best-on-best” lifting became infrequent with some talented lifters in one organization and others committed to a different one. My attitude mimicked the one I hold regarding business. You can erect six gyms, bars, or pizzerias on one street in any town, and patrons will be attracted and loyal to the establishment that meets their specific needs. If all can do that for enough patrons, all will remain in business but those that cannot, will not. Most of the sponsoring and/or meet directing organizations present when Kathy and I competed and then up and running when we had our commercial gym, are long gone or have morphed or merged into a different organization. Thus, my lifters have had no difficulty lifting in contests directed by different organizations. This was our first experience with the Rychlak’s RPS and it could not have been more encouraging. readers to peruse their rulebook as it is like most others but with an undercurrent of reducing or removing the minutiae that often serves to hamper meets and individual lifters, while maintaining the efficient activity of actually participating in a contest. The rules of the organization and its competition are sensible and are in the best interests of the participants while the insistence on standardized equipment allows for the peace of mind in knowing what one needs to prepare for and will utilize on meet day. A bonus is the fact that the Rychlaks have a commitment to combat violence and abuse related to humans and animals. They have elevated the purpose of the RPS to that end in addition to hosting enjoyable, straight to the point contests. 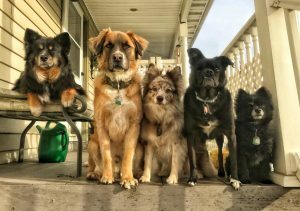 Being blessed with a wife and daughter committed to animal rescue and adoption, and having the pleasure of inhabiting a household with five dogs from locations as diverse as the streets and shelters of Georgia, Oklahoma, Alabama, and North Carolina, I understand this mission. I can only state that the meet venue, Matt Doheny’s ABC Sports And Fitness, was a perfect training and competition environment with a great group of local lifters and tremendous support. So many associated with the club and contest ,were active and vocal in their support of or attracted to animal rights issues which made for a terrific addition to an excellent contest. 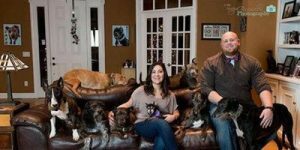 Massive Chris Hughes, an outstanding deadlifter who successfully hoisted 780, founded and runs the Mr. Mo Project with his wife Mariesa, dedicated to saving and finding homes for senior dogs [https://www.mrmoproject.com/]. At most contests, many lifters are available and willing to help the less experienced competitors but it seemed as if the Albany area crew went over and above to insure that every competitor, while having to earn their successful attempts, were “nursed through” the contest so that no obvious first-timer errors were committed. One can efficiently and safely complete a sixty-five lifter, one platform contest (and I have a “thing” about truly disliking multiple platform meets, to be saved for another time) only as quickly as it could be done and RPS and everyone involved did just that. Gene promised that the contest would run as well as it was possible to do so and Ame’s microphone work insured that it did. I can recall lifting at a high school venue in Iowa, starting the actual lifting at 8:30 AM and being instructed that the gym had to be vacated by 6 PM in order to prepare for a high school wrestling meet, perhaps the most popular sport in that state. Of course that would not be a problem except it was as many meets were in the 1960s and ‘70s and we completed the deadlifts on two pieces of plywood in the school parking lot, with vehicle headlights illuminating the winning attempts and falling snow that made for a memorable lifting experience. This RPS meet ran as well and as timely as was possible. Thus I was reminded that powerlifting, in a contest made exceptional and successful through the work of RPS, the Rychlaks, the Doheny’s, and the Albany area lifters, could be a throwback, where so many of the traditional values were exhibited, where others were supported in their endeavor to excel, where there was a healthy dose of selflessness, where the values of compassion were on full display by so many with the emphasis on animal welfare, and where one could compete or attend a good, old-fashioned powerlifting contest. As our lifter Will got into my truck for the drive home, he better understood the many stories he had heard about “the old days,” and “the meets we used to have or would travel to,” and he summed up what the sport is truly about by stating, “This was so much fun.” It really was! 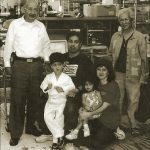 HISTORY OF POWERLIFTING, WEIGHTLIFTING, AND STRENGTH TRAINING PART 107, November 2017: A NEW OR AT LEAST ANOTHER GENERATION OF LIFTERS, Part One HISTORY OF POWERLIFTING, WEIGHTLIFTING, AND STRENGTH TRAINING NUMBER 109, January 2018: A NEW YEARS RESOLUTION OR SHOULD ONE JUST TRAIN HARD?